But wait! Actually there is something to do..
Because it’s the time around the year, with Halloween nearby and of course the Hallow’s End event, there’s this tiny chance of getting the mount from the Headless Horseman. Halloween is my favourite holiday by far, so I’m trying to get all those nice items that are limited to this short amount of time right now, and the mount is still on my list. So of course the queue for receiving the Loot-Filled Pumpkin is one of the few things I need to do daily – besides crafting Jard’s Peculiar Energy Source – in the hope of being lucky this year. 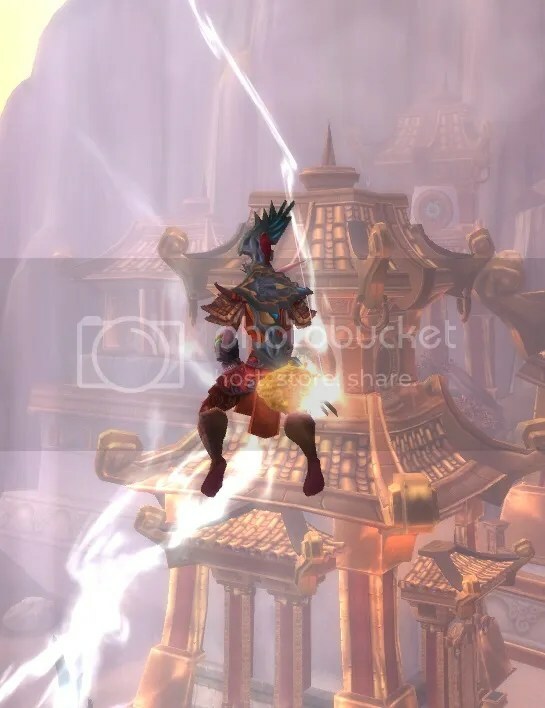 If I can’t have a permanent broom mount (yeah, I actually hate blizzard and druids a little for this, why are they allowed to have their no-cast form all time of the year, but I can’t keep my broom? It’s so very sad when it disappears, every year again 😦 ), I’d at least like to have the horse at some point! I’m not positive it will happen, but there’s no other way but try.. In the meantime, while WoW has it’s Halloween event out for ages, and even Terraria is spawning loads of pumpkins and dressed up zombies, the Harrowing in League of Legends is still nowhere in sight.. They keep saying that it isn’t related to Halloween and they’re going to release it whenever, maybe even just in November, but that would definitely put me off slightly. I want to get and try out the Haunted Zyra skin around the right spooky time, not when it’s pretty much over over and Christmas is about to approach rapidly, somewhat killing the whole mood mood. For that reason, and because the skin will be permanent and some other, old skins will be available for a short time I might put that back for a while and get some of those instead, especially since people speculate that a Zyra nerf incoming with the release of an amazing new look, but I will see.. not sure if I can actually resist, it’s my favourite theme after all. FrankenTibbers Annie and Pumkinhead Fiddlestix are on the list as well.. When the event finally comes up it won’t be good for my wallet. Not at all. ._. It’s probably good I got Zombie Brand last year already.. Even Headless Hecarim and Haunted Nocturne are very tempting, and I’m not even playing them. Why is it that purely cosmetic content in free to play games is always so irresistible? I’m not looking forward to the day when Blizzard eventually adds holiday themed and seasonal armor and mounts to buy for real money eventually, following those weird Helmets they introduced a while ago! This entry was posted on Monday, October 28th, 2013 at 16:39	and tagged with gaming, Halloween, Holiday, League of Legends, Terraria, world of warcraft and posted in Stuff, World of Warcraft. You can follow any responses to this entry through the RSS 2.0 feed.